It was July 4th. I was out cutting the gras. When I was finished, I had gotten a message from LA7QIA wondering if he should be home now. were quite active with loud stations coming in. I quickly started calling CQ, hoping to work a few stations. The first station in the log was NA6L. He was quickly followed by K7JA. I noticed at the same time that I was hearing XE2CQ very strong. I have never heard Mexico on 6M, and I know only a few LA’s worked into Mexico during the F2-days several years ago. Luckily I managed to work him for #151 on 6M. That was something I had only dreamt about until this day, and it was also a new waz at the same time. The opening continued on and I logged KR7O, K7JE, AA7A (WAS #41), KF2T (WAS #42), N7CW, N6RW, AI1K and finally N6ML. The opening lasted from 1710z until 1803z. I know I was being heard several places, but I couldn’t hear any stations at all. I can’t say why, and I don’t think my noiselevel was that high. K7ULS heard me in Utah, but I could never copy him. That would have been a new state. N6SPP even reported hearing me on a dipole 3M above ground. W7MEM heard me in Idaho, and I did notice that VE5UF had heard me as well. This was the first time I worked into the west coast. I managed to work New Mexico a few years back, but I never made it any further. I know a few other LA’s did work all the way to the west coast. The pictures are from pskreporter. The first are stations I heard, and the second are stations that heard me. I hope I’ll get one opening like this again. Radio started very slow this year. 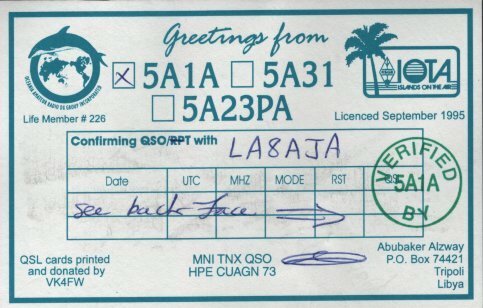 My first qso was with my friend K3LU. 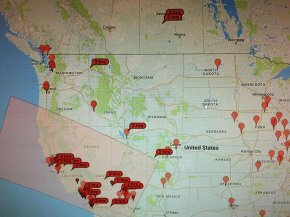 I worked Ulis on 20M CW on January 1st. He had a great signal, and it was nice to work him again. On January 31st, I worked TU5MH on 40M and 30M CW. That was a new country on both bands. My next qso was then worked in April. I worked R71RRC on 30M CW from iota AS-071. That was a new iota for me. On May 20th, I worked E31A on 30M CW for a new one on that band. On May 21st, I worked TC0M on 20M CW from iota AS-159. That was a new iota for me. On May 25th, I worked TN5E on 30M CW. Ken, LA7GIA, was on an expedition yet again. As always, he did a great job. On May 26th, I worked TN5E on 40M CW for a new one on 40M. E31A was worked on 20M CW. On June 15th, I worked JG1TSG on 6M JT65. That was my first JA on 6M this year. I heard several more stations, but they did not hear me. 6M had shown a few good openings the week before, but I was away on vacation. Luckily I managed to catch a great opening on June 17th. The first qso that day was PJ7/w9DR on 6M SSB for #150 on 6M. He struggled a lot with qrm, but he finally managed to pull my call out. I also worked YV7DX, PJ4NX and P43A. OX3LX was heard, but not worked. On June 19th, I got another opening where I worked KV4FZ and YV6CR on 6M. 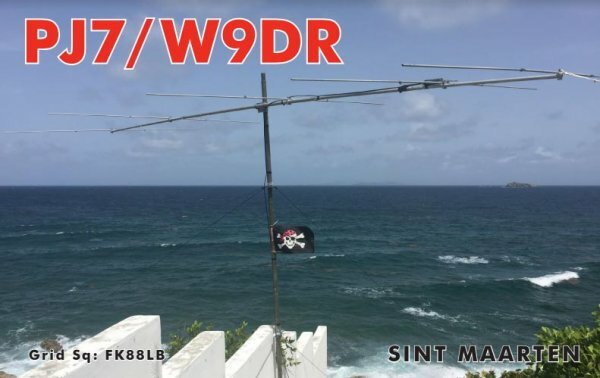 I did copy PJ7/W9DR on 6M CW, but he did not hear me this time. The band opening again on June 20th. 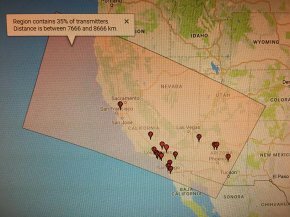 I worked ZB2TT on 6M on JT65. Later in the evening I got an opening where I worked K1TOL and N1BUG on 6M CW. On June 21st, I got an opening on 6M where I worked W4UDH, OX3LX, W4LES and K8MFO. 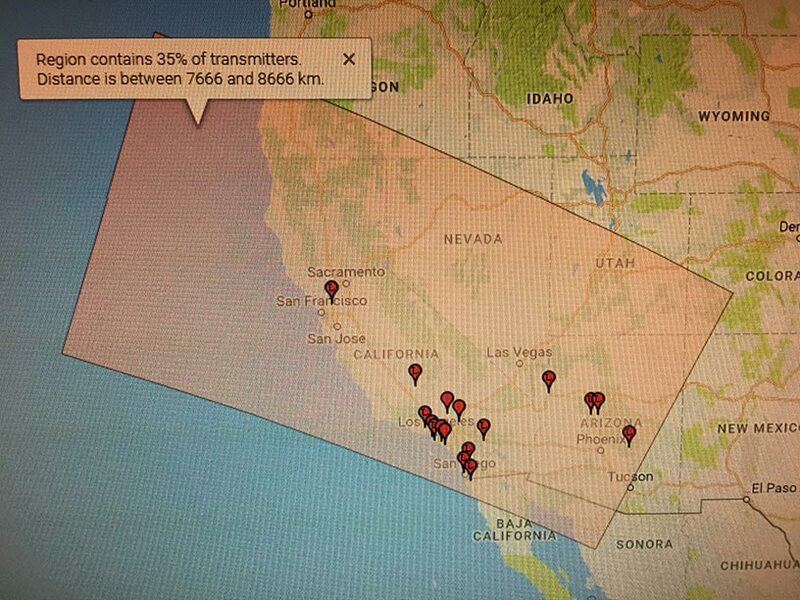 I heard several more stations, but JT65 is too slow to really exploit these openings. I felt more like I wasted this opening. One trend this year so far, is that activity has shifted over to digital on 6M. You can often hear station on JT65, but the CW portion of the band is just empty. On June 24th, I worked JW7QIA on 6M CW. Peter was once again on a trip to Svalbard. Unfortunately he was not so lucky with the propagation this year. Here are my stats for my JW8AJA call. These stats are from February 6th, 2017. 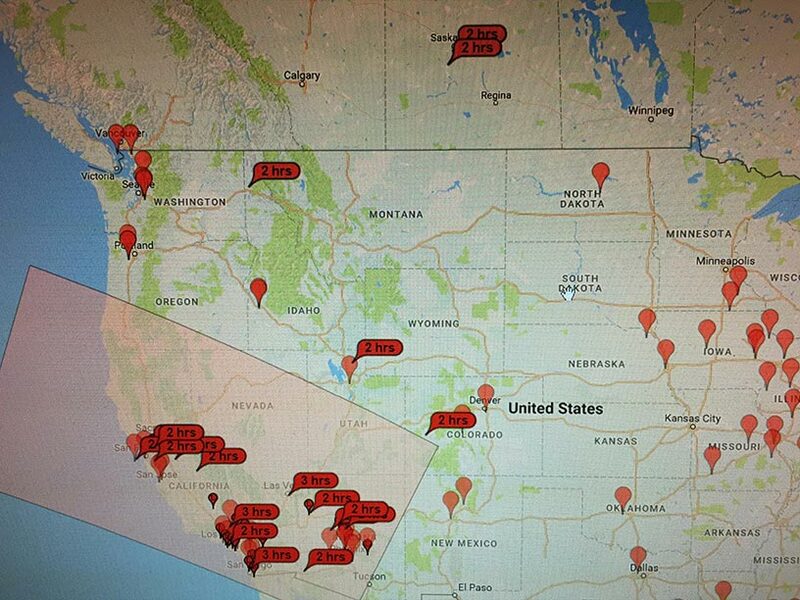 I have 91 DXCC’s confirmed and still 49 states. I really need another trip to get Delaware confirmed on LoTW. The percentage is up 1% since last year, and 1 more DXCC total. Here is my annual LoTW stat post for LA8AJA. These number are from February 5th. I’ve gotten 5 more DXCC’s confirmed on LoTW since the last report a year ago. I did work a few more contacts last year, than the previous year. And I also worked several new DXCC’s, which luckily resulted in new confirmations on LoTW. I’ve gotten an almost 2% increase in confirmed contacts via LoTW too. What is really interesting to see, is that older QSO’es keep showing up on LoTW. All years, except 2004 and 2005, has gotten more QSO’es confirmed. I like that very much. It’s just a pity that some stations who are very active, refuses to use LoTW. Out of my 338 DXCC’s worked, I still need confirmation on LoTW from ET, SV/a, EZ, JD1/m, VK0/m and VP6/d.